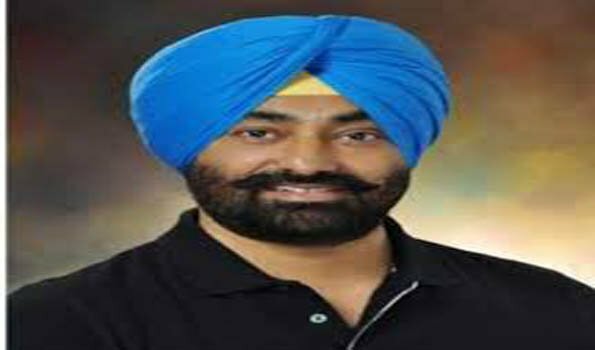 Chandigarh: Former Leader of Opposition (LoP) in Punjab Vidhan Sabha and rebel Aam Aadmi Party (AAP) leader Sukhpal Khaira formally resigned from the primary membership of the party on Sunday. In a letter addressed to Delhi Chief Minister and Party’s national convenor Arvind Kejriwal, Mr Khaira has cited ‘lack’ of internal party democracy, ‘nepotism’, ‘growing’ influence of non-Punjab leaders, the party’s loss in 2017 Assembly elections and the AAP supremo’s apology to Shiromani Akali Dal leader Bikram Singh Majithia among reasons for his decision. Mr Khaira, who was suspended from the party in November for breaching party discipline, alleged that the AAP had deviated from the ideology and principles on which it was formed post Anna Hazare movement. Mr Khaira said after joining the party he realised that the hierarchy of AAP was ‘no’ different from the traditional centralised political parties. The turn of events into the run up of 2017 Punjab elections further confirmed his belief, that there was ‘no’ inner party democracy. “If you remember I had strongly objected to the distribution of tickets for the Punjab assembly, as we had received reports of money exchange, favouritism and nepotism. You also failed to understand the psyche of Punjabi’s due to your overconfidence. You only listened to the two ‘Subedars’ you had appointed to run Punjab and never bothered about the sentiments of AAP volunteers on the ground,” Mr Khaira wrote in his letter to Mr Kejriwal. “Your meek apology to the drug tainted former Minister Bikram Singh Majithia further revealed your double standards in politics,” he said.